While enjoying a nice chilled glass of Rocky Ridge with frozen berries while baking cookies with family members is my favorite tradition, I can’t help but think of the beginning. 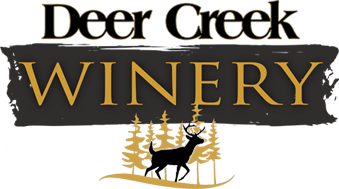 Starting with the process of making our wine, bottling the wine with a great team, delivering to all our locations, and presenting our great products to you as a consumer is the best part of what we do here at Deer Creek Winery. Each wine has a special story as to its creation as well as pairings and suggestions from our team. When you come into any of our locations, we hope you find a warm welcome that is there to answer any of your questions and to help you find those perfect gifts. We as staff members are always wanting to share our love of our products. Some of us prefer dry wines and all the different delicious ways to enjoy our many dry white, red, and fruit varietals. Then, there is our beloved sweet wines. This wonderful array of sweet wines has really developed many new wine drinkers and brings joy to a lot of our DCW wine fans! These great wines along with our tasty olive oil & vinegar, can add even more to your holiday traditions. Some of our favorite ways include a steaming hot mug of mulled Cranberry Mist with your Christmas Dinner. Drizzling Tuscan Herb Olive Oil on your stuffing before you bake it. A big scoop of Deer Creek Raspberry wine sorbet in your glass of White Sizzle to bring in the new year! 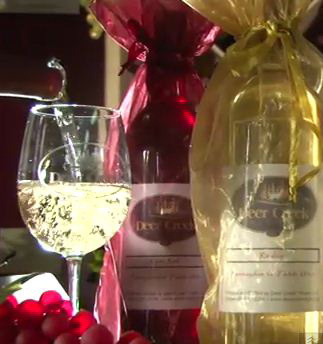 Deer Creek Winery is your starting place for all things Christmas!